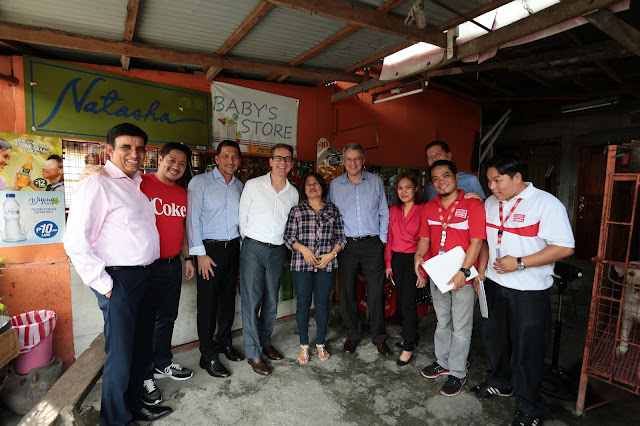 Coca-Cola STAR Program graduate Carmencita Aspiras welcomed The Coca-Cola Company Asia Pacific Group President John Murphy to her Baby’s Store in Taguig City. More than doubling her income, the program helped Aspiras achieve the dreams she had for her family, particularly for her children to finish their school.Coca-Cola STAR Program graduate Carmencita Aspiras welcomed The Coca-Cola Company Asia Pacific Group President John Murphy to her Baby’s Store in Taguig City. More than doubling her income, the program helped Aspiras achieve the dreams she had for her family, particularly for her children to finish their school. 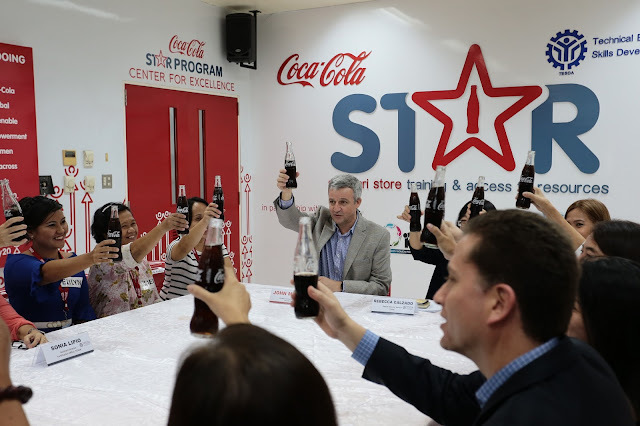 The Coca-Cola Company Asia Pacific Group president, John Murphy, joined the graduates of the Coca-Cola STAR Program in a toast to celebrate the success of the program in enabling women entrepreneurs increase their profit. Murphy is joined by TESDA Deputy Director General Rebecca Calzado, Coca-Cola Philippines President Diego Granizo, and Coca-Cola Philippines Sustainability Manager Gilda Maquilan.